Most of you may know from reading my book “Peripheral Neuropathy Nine Simple Steps to Reduce the Pain” http://amzn.to/XOnpXJ , that I have been using a bunch of alternate ways to minimize the pain. The ebook has been downloaded over 2000 times by individuals with neuropathy and by caregivers. I do my best to eat a healthy diet, juice vegetables and fruits, exercise, sleep as close to 8 hours as possible (some nights I do that), take particular supplements, meditate and more. I have been able to control my pain and be as productive as possible so that I am able to work fulltime. As I write this, my left side is hurting more than the right and I am tingling all over. However, I have learned to control my perception of this pain. I have been criticized by some about my methods but there are people who have been helped. A few months ago I felt vindicated as I saw that a well known institution, the Mayo clinic published an article on alternate ways people are using to counteract pain on a whole. A little over a year ago I noticed myself consciously implementing some of my methods even more. I was taking breaks every two hours to meditate and center myself to reduce the pain. As months went on, I noticed that my neuropathy was flaring up all the time and the pain scale was more than a 10. It was massive. I learned to handle pain scale of 6-7 unconsciously over the years but I had to consciously implement some of my steps over and over. I had to bring out the “heavy lifters” as I call them, to keep things calm. I was doing my walking meditation more often during the day and months went on. The nights, as always for me were even worse. However I was able to go to sleep by listening to my classical music and trying to get a good night’s rest. At least 1 night weekly I had to take melatonin to help me sleep. I started to do an analysis to see what I had changed in my routine. I did not see anything except I needed more sleep. I had just returned from the World Cup in Brazil that had taken a toll on my body in just 7 days. I had no downtime while I was there. However, this was months later and normally my recovery period would have been over. So I went to the doctors and explained my symptoms. Luckily for me, one of the doctors did a vitamin D test among others. You see, along with the elevated neuropathic pain, I felt pain that was coming from the center of my bones. The doctor was listening to my symptoms. It is important to know how your neuropathy behaves and attempt to isolate each pain symptom that you feel. It took me time but that was a key component of me getting control of my neuropathy. The doctor mentioned that low levels of vitamin D can cause severe pain and can also increase neuropathic pain. 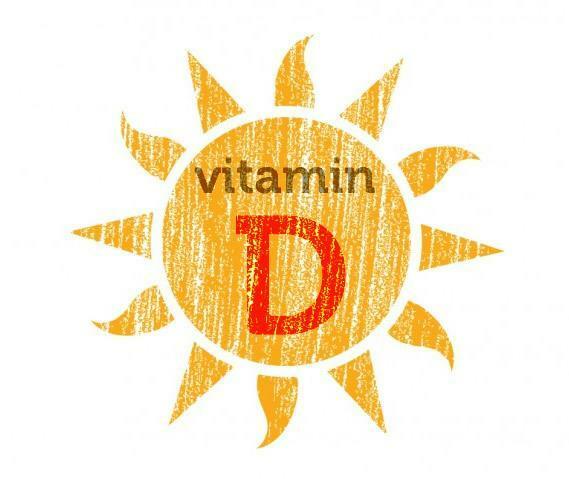 Some of the roles of vitamin D in the body are the treatment of osteoporosis (weak bones), osteopenia, bone pain, calcium regulation and a healthy immune system amongst others. I was started on high dose of vitamin D each week and in a month the pain levels were back to where I was not in crisis mode any more. My neuropathic, bone and joint pain was back to 7 and even at times felt lower than 5. I would recommend that you get your vitamin D levels checked on your next visit to your doctor. A level of 30 – 50 ng/ml (nanograms per milliliter) is recommended. (https://www.nlm.nih.gov/medlineplus/ency/article/003569.htm) I now take 2000 IU daily as recommended by my physician. A diet consisting of tuna, sardines, milk, cheese and other foods with added vitamin D are good sources. Sunlight is a great source of vitamin D. I spend as much time in the sun by going for short walks and being outside for at least an hour. However, ensure that you are wearing the appropriate sunscreen. Remember, maintaining a healthy lifestyle can help, especially for individuals with neuropathy and other chronic health issues. Do not be afraid to tell your doctor all your symptoms as it can make a world of difference. We can try and continue to do our best daily as we live our lives with neuropathy.